Our annual cheese and wine event was yet another resounding success, even as we fought against the tail end of hurricane Bertha. 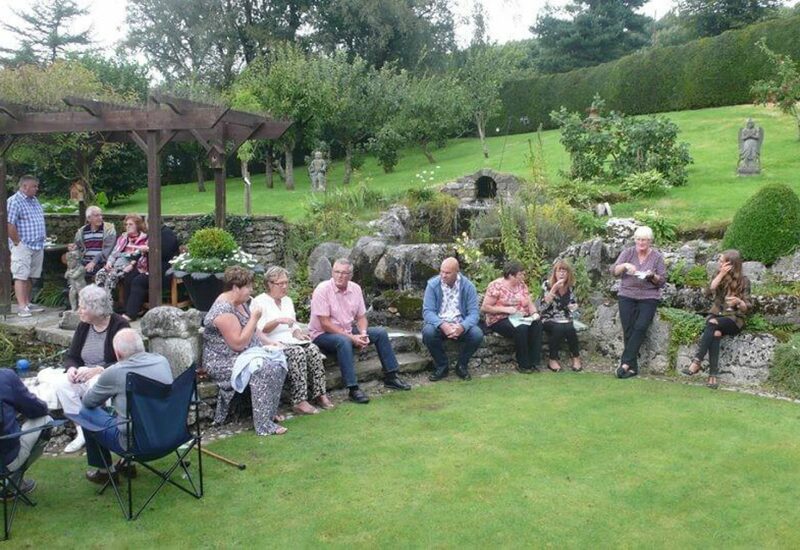 Every summer our cheese and wine event is the perfect occasion for all caravan owners on the park to meet, relax and socialise in comfort while enjoying the nicer weather that August usually brings. To help get the conversation going we serve up a tasty selection of cheeses, with crackers and olives to nibble on, and of course a healthy selection of wine with which to wash it all down. With Lancashire and Cumbria taking a direct hit from the remnants of hurricane Bertha, we sadly didn’t get the nice weather we had been hoping for. The sky was grey and overcast, and almost right before the event was ready to start, the strong gusts blew down one of the marquee walls. Thankfully the wonderfully helpful people at Evans Marquee Hire in Lancaster came to the rescue, and were able to rebuild the marquee’s battered walls so it looked as good as new. All in all about 80 people were able to make it, and despite the earlier weather problems, the rain managed to hold off for the event itself. Everyone had a great time eating, drinking and getting to know their neighbours on the park a little better. 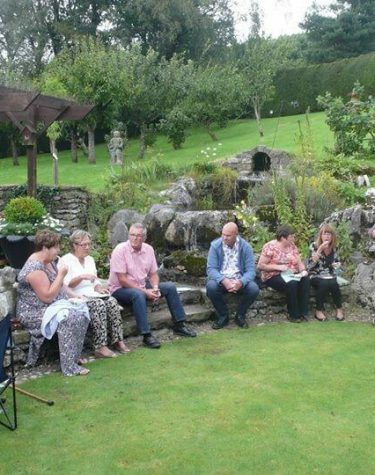 It was especially great to see our team getting involved too; Karen arrived with her husband and John, our gardener, showed himself to be a dab hand at pouring wine! We hold this event every year as our way of saying thank you to our caravan owners and everyone on our team who helps to keep the park’s unique atmosphere, ‘the place of peace and tranquillity’, which we’ve worked so hard to create. So from Monika, Deryck, and Ashley – Thank You!